Registration is limited to the first 2,000 in order to create the best event experience. Pre-Sale Registration is Now Open! Take advantage and SAVE with the early discounted pricing! MommyMile wants to give you first crack at PRE-SALE 2018 Registration, to take advantage of the discount. There is a limited quantity available at the PRE-SALE level, so act fast! Not just for mothers: Husbands, Significant Others, Sons, Daughters, Friends, and Family are all welcome to participate and show support. MommyMile participants receive a Swag Bag with all kind of goodies! MommyMile Benefits the Ronald McDonald House Charities. 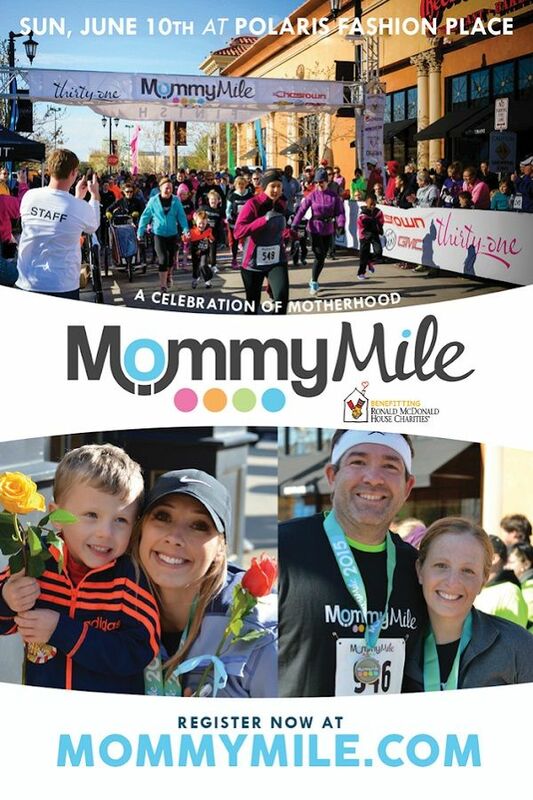 Join thousands, come celebrate Mom as an entire family at MommyMile, a 5K race for the whole family! Husbands, partners, kids, family and friends -- participate alongside MOM and show your support! Join thousands & celebrate MOM together at the 2018 MommyMile benefitting Ronald McDonald House Charities. Registration is filling up fast! Don't miss out on some family fun, sign up now! See you at the 2018 MommyMile!